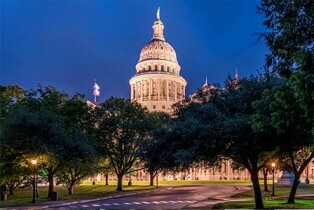 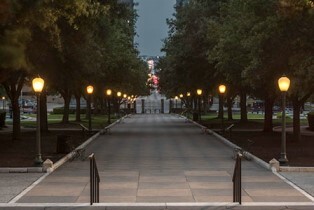 Massive floodlights and intricate lampposts provide illumination for the Capitol Grounds, June 2015. 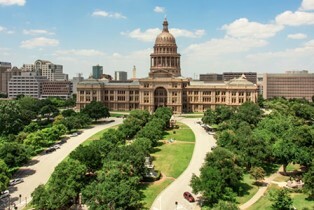 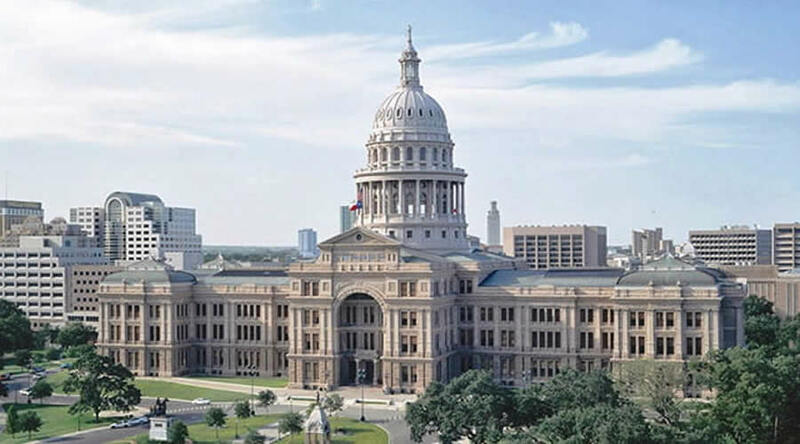 The north façade of the Capitol overlooks the greenery surrounding the Capitol Extension, June 2015. 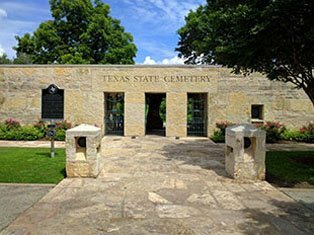 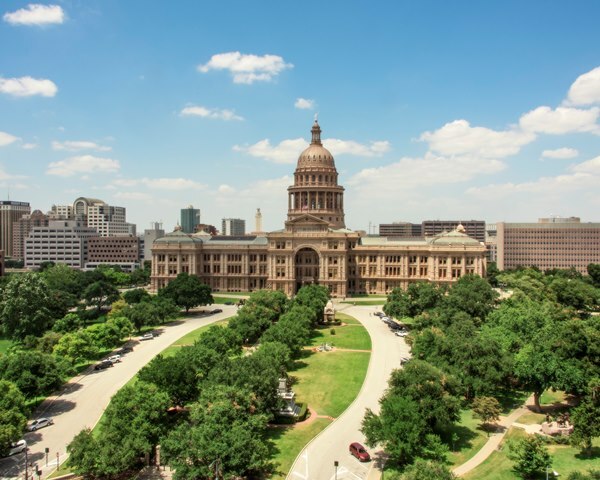 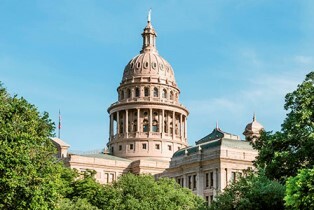 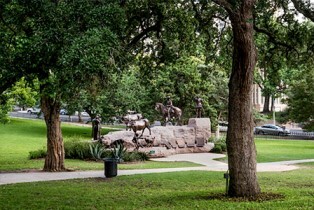 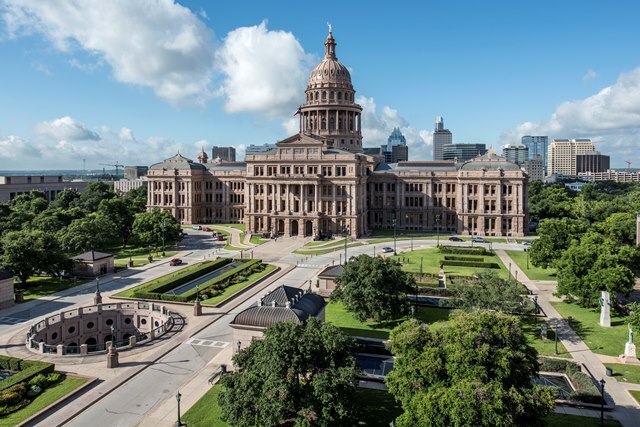 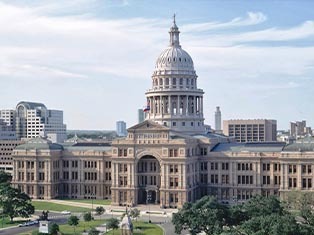 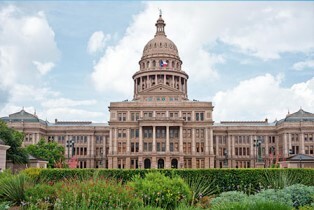 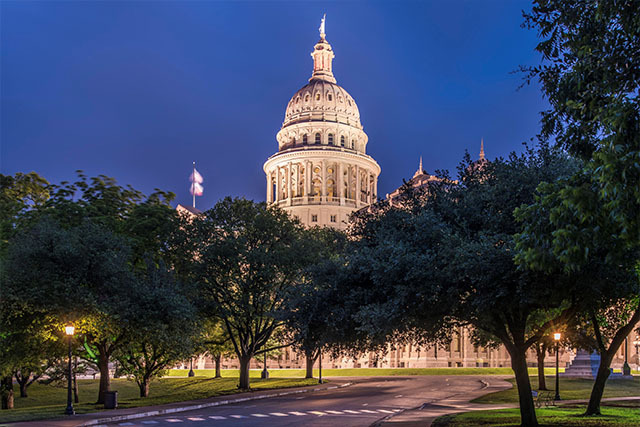 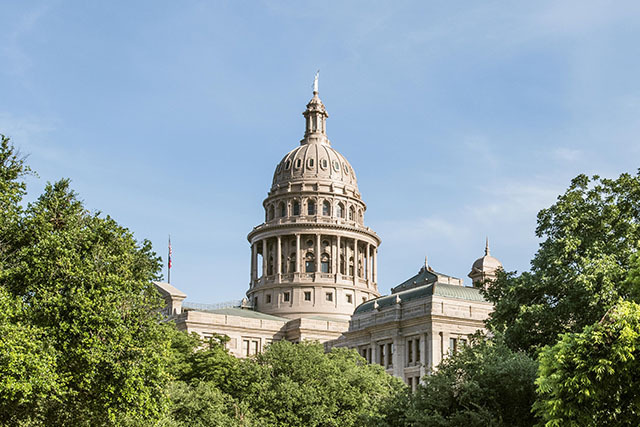 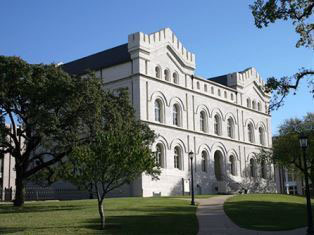 The historic south Grounds feature the Capitol's oldest monuments including Heroes of the Alamo, June 2015. 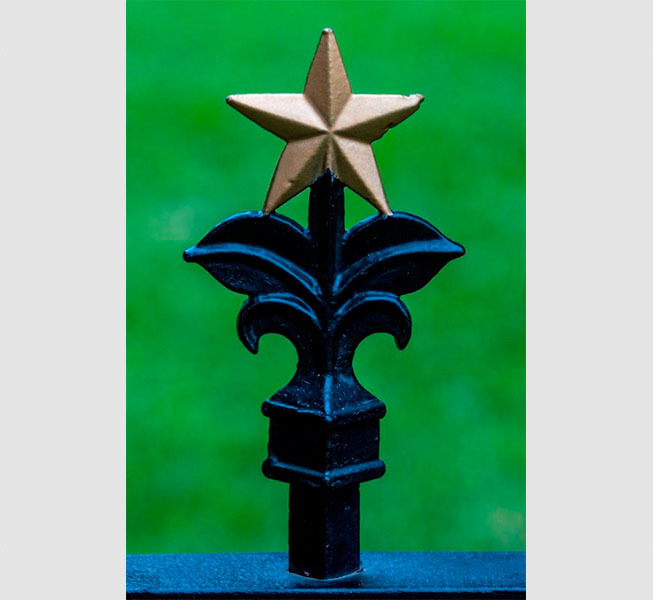 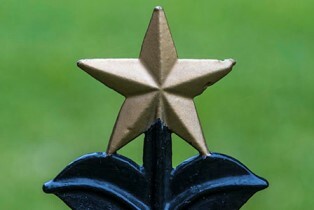 The finials atop the fence feature a Texas Lone Star motif, June 2015. 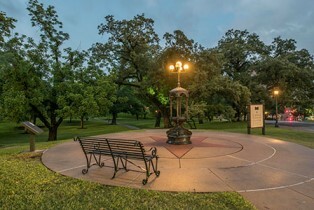 Visitors can drink from the reproduction cast-iron water fountain, June 2015. 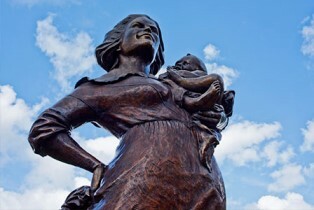 Texas Pioneer Woman monument pays tribute to the spirit of Texas women, June 2015. 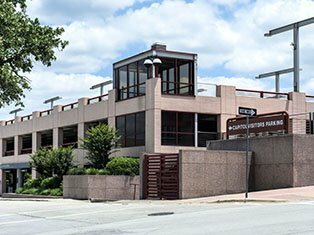 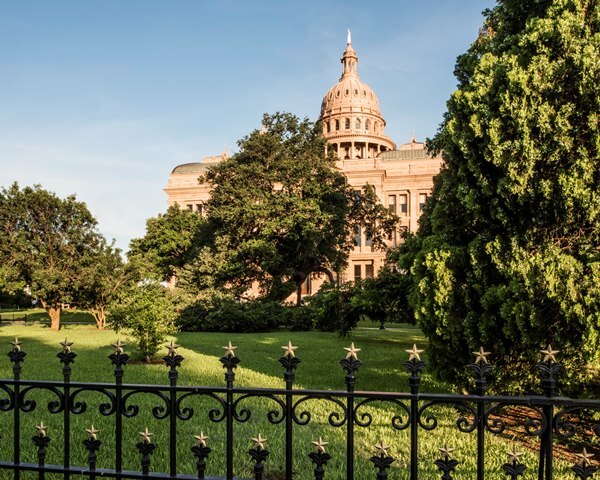 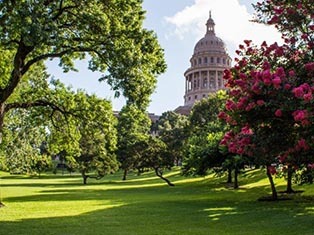 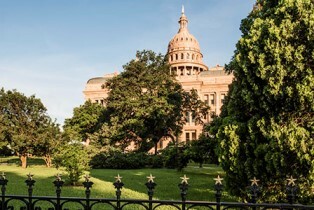 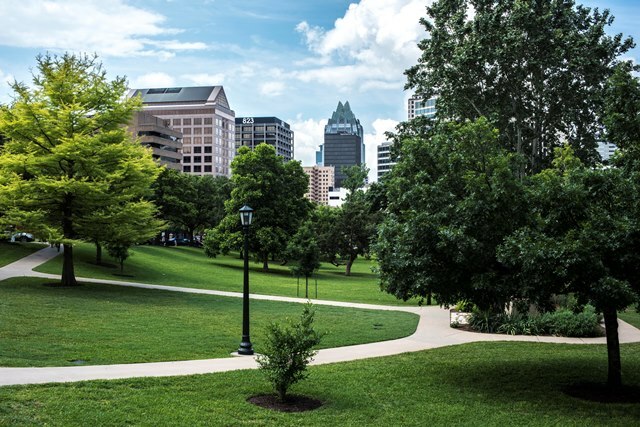 The Grounds provide a beautiful natural setting in the heart of downtown Austin, June 2015. 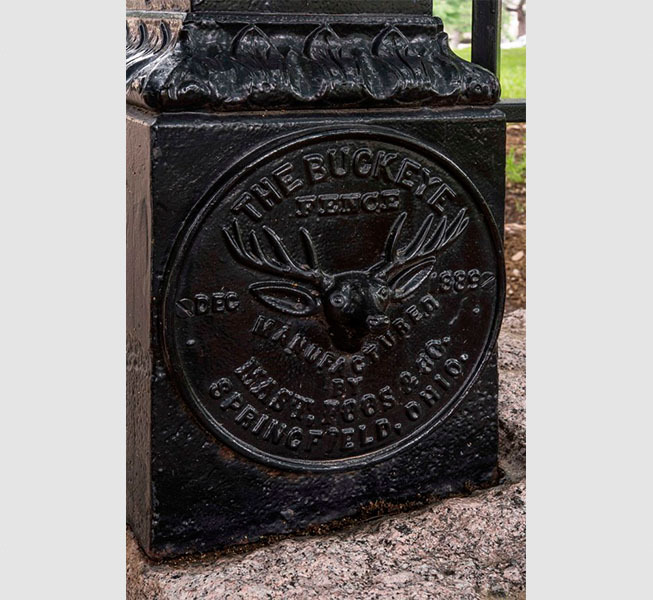 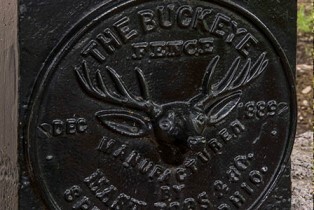 The Mast, Food & Company of Ohio crafted the fencing with gate posts featuring a Buckeye Seal, June 2015. 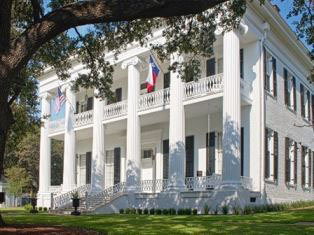 The Grounds feature a number of massive historic trees, June 2015. 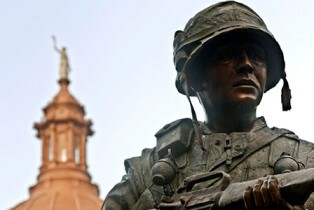 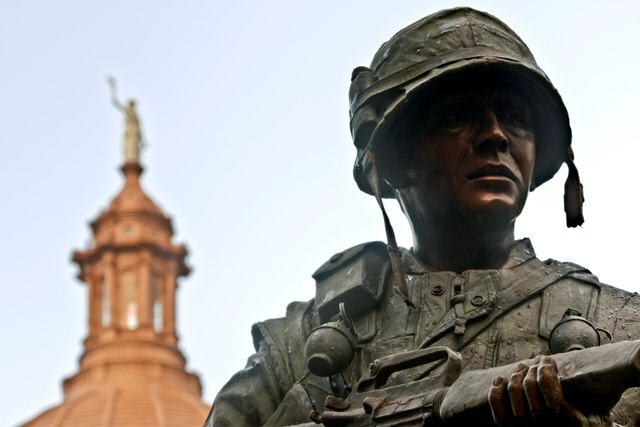 A close-up of a statue on the Vietnam Veterans monument, the newest memorial on the Grounds, June 2015. 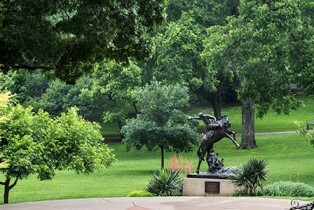 The Texas Cowboy statue honors the important role of cattle ranching in Texas, June 2015. 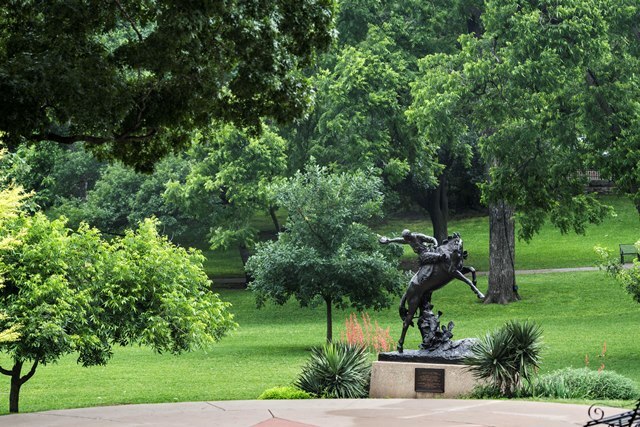 The lush west Grounds make an ideal location for picnics and other outdoor recreation, June 2015. 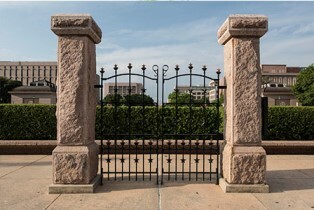 A free-standing gate marks the original boundary of the north Grounds, June 2015. 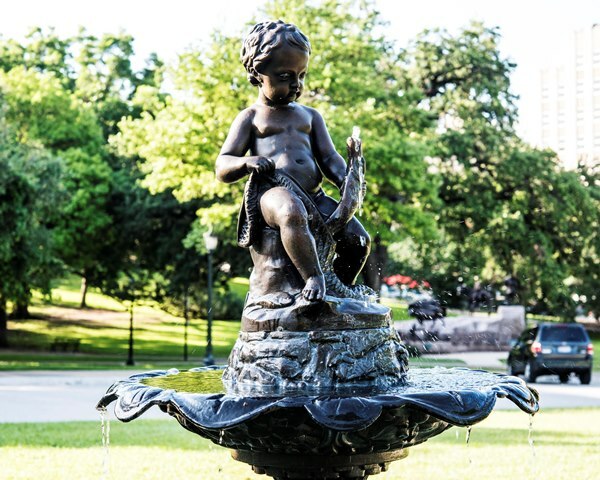 A bronze statue of a boy with a fish decorate a spraying fountain along the Great Walk, June 2015. 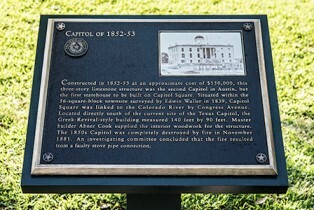 This plaque marks the site of the 1852 Capitol and is one of 16 interpretive markers located throughout the Grounds, June 2015. 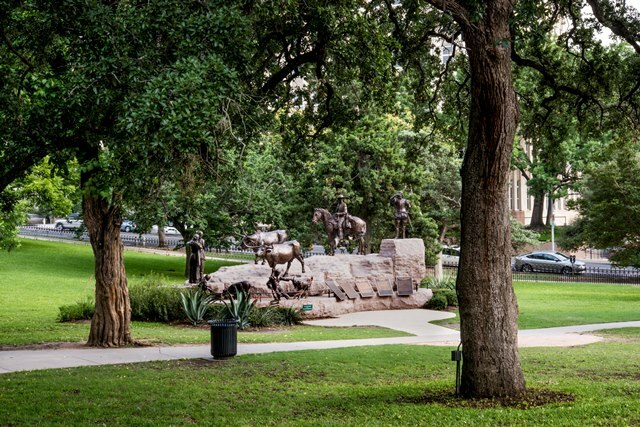 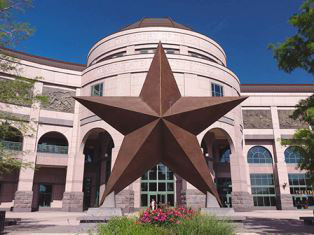 The Tejano Monument includes nine statues commemorating the contribution of Tejanos, the Spanish and Mexican pioneers who settled Texas, June 2015. 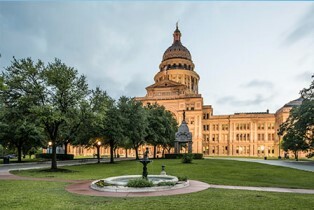 A view of the spectacular Capitol Dome from the east drive, June 2015. 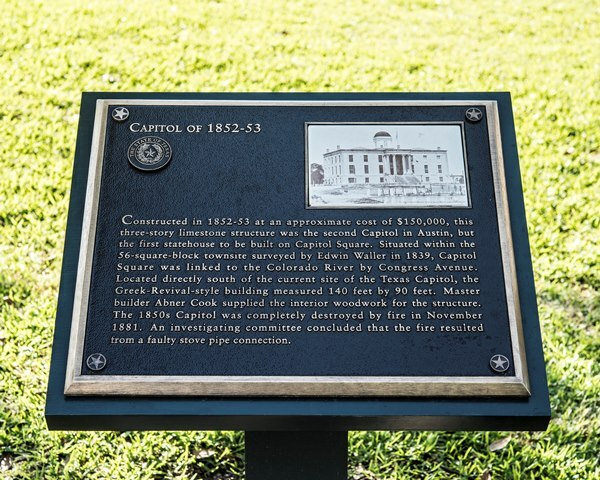 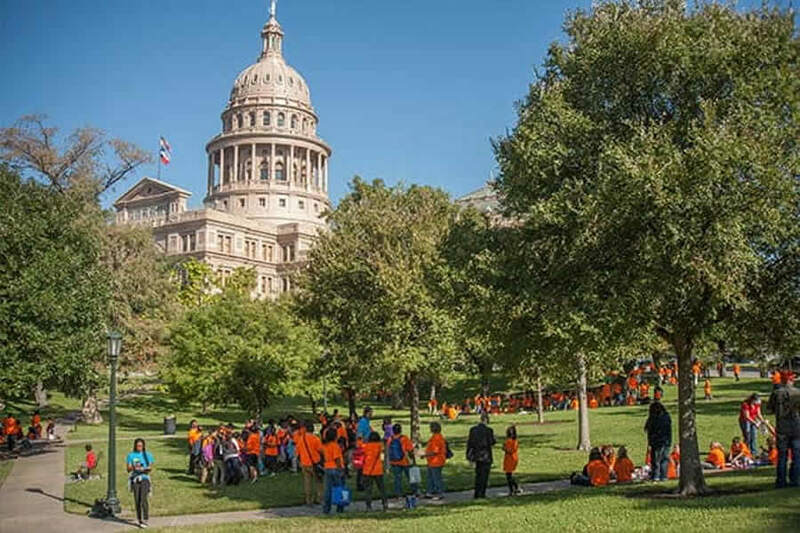 The Great Walk emphasizes the perpendicular relationship between the Capitol and Congress Avenue, May 2015. 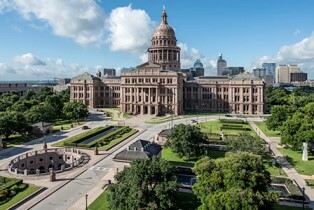 A view of the north Grounds that include the skylights, open air rotunda and elevator banks of the Capitol Extension, June 2015. 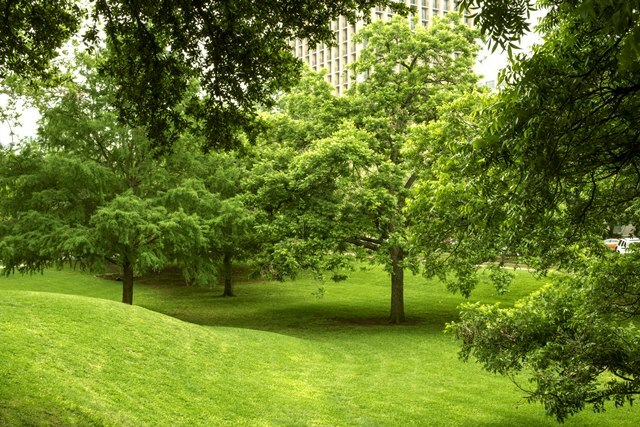 A spectacular view of the lush historic south Grounds, June 2015.